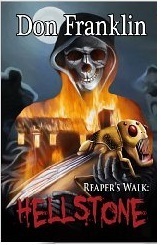 Hellstone is the first book in a planned five-installment Reaper’s Walk series; he got the idea in 2006 while looking at a stretch of land that was unused. He thought, “what if a piece of land that is today in a metro city was cursed hundreds of years ago?” You can check out Don’s site and read an unedited excerpt from the book at http://donfranklin.wordpress.com/. Don Franklin was born in 1965 in a small town in South Carolina. He is a professional driver who works a mountain shuttle bus for skiers during Stowe, Vermont’s regular season. Off-season, he spends as much time as he can with his three children and on his computer, writing. Scary Scribes’ Jackalope Episode is the Zombie Beaver Award 2012 Winner! Every year, the Paranormal, Eh? Radio Network hosts its Zombie Beaver Awards, which recognize listener-chosen favorite shows, hosts, episodes, and other topics for the year. Listeners selected Scary Scribes’ Episode 7: Unnatural Tales of the Jackalope as their favorite guest/episode for 2012 (yes, even if the year’s not over yet—the “year” is usually considered October to October; any not considered this year will be considered for 2013). Listeners made a selection or wrote in their favorite episodes. Books & Boos is a brand new bookstore in Colchester, Connecticut—and I was there signing copies of Bad Apple at its Grand Opening December 8. Photos of the day are below. Books & Boos is located at 514 Westchester Avenue in Colchester, CT, and features previously read books, new books by local (New England) authors, and unusual novelty items (crotched Cthulus and bloodstain-shaped pillows, anyone?). 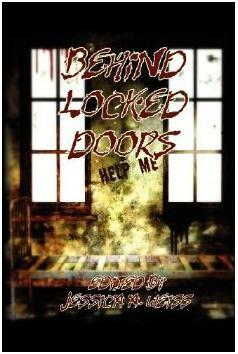 For more information on the store, its events and more, click here: http://www.booksandboos.com. If you’re a fan of Day of the Triffids, you might like “Under the Kudzu,” a short story of mine that’s available in the anthology Behind Locked Doors from Wicked East Press. The anthology was published back in March, but because of all the running around (particularly during that month) with the wedding, I somehow missed the announcement. Just like every writer, there are some stories that hold more personal meaning than others. “Under the Kudzu” is a piece very close to my heart because it was inspired by my late friend and writing peer Cynthia Wilson. You can read more about that here. All I know is that this is one hell of Christmas present. Santa will have a hard time beating this! There are only so many things that can be done with the zombie concept as we know it. In Deck Z, you’ll find the typical zombie-plague tropes in play (even though I found the connection to a strain of the Bubonic Plague grounded it a bit better in reality), so if you’re looking for something more original in that department, this story probably isn’t for you. However, if you don’t mind that and you like fast-moving action adventure tales set against a historical backdrop, then pick this one up. There aren’t many super-gory moments in this novel, but each of those is so cleanly-rendered it’s toe-curling. There is one paragraph in particular to which I vocally reacted. I wish all writers of gore knew how to do it as well. For Titanic buffs there is good news, as therein is where the novel excels: the details of what we know happened on the ship’s maiden voyage and during the disaster—the first use of S.O.S., Ismay’s cowardly escape, and the musicians playing to the very end among them—are warped to fit this revisionist version seamlessly (we buy, for example, that the real reason the ship was steaming toward New York at excessive speed is because of the zombie threat). This Titanic lover had a ball waiting to see when next history and legend would be expertly manipulated to fit the plot. If you like atmospheric, enigmatic slower burns, then Deck Z probably won’t meet your expectations. This book is plot-driven, written in the style of those great 1970s action-adventure tales, like The Word, Ghost Boat, The Island, and others. There are thuds at the end of every chapter, and we are given just enough about the characters to get us through the story—only what we need to know. I had reached the end of the ride before I knew it. This novel didn’t get a five due to poor editing. First, the book is set in past-tense, and yet flashback scenes are not written in the pluperfect. This marred the immersion—I found myself wielding a red pen for most of the read. Second, there were a couple of spots in which both a question mark and an exclamation point were used at the end of dialogue, like this: “done! ?” In my experience, double punctuation is a mistake made by the less experienced. Given today’s competitive climate, I was surprised to find these errors in something issued from a large publishing house. In the future, if I come across another Chronicle Book title I’m interested in, I will spend more time thumbing through to check for better grammar before I buy it. Still, I’d recommend Deck Z if you’re looking for a light, fun read, you enjoy action-adventure and zombies, and/or you’re a Titanic aficionado. I liked it enough that it’ll go on my “books I’d buy for gifts” list. I just might have to fix all the grammar errors with my red pen first. and even my father’s old Robert Frost poetry thesis paper https://kristipetersenschoonover.com/2011/02/17/the-things-that-come-back-to-you/ (and watch this blog in the future because there are a couple more miraculous returns that have occurred that I haven’t had time to mention yet). Last month, while reading Scott Thomas’ spectral story collection Urn & Willow and preparing for the November episode of Scary Scribes, something found me. If you’ve not read any of Thomas’ fine ghost stories, you’re missing out. They are rich in detail and atmosphere, stories that deserve further study as they truly exemplify good use of Poe’s Single Effect. 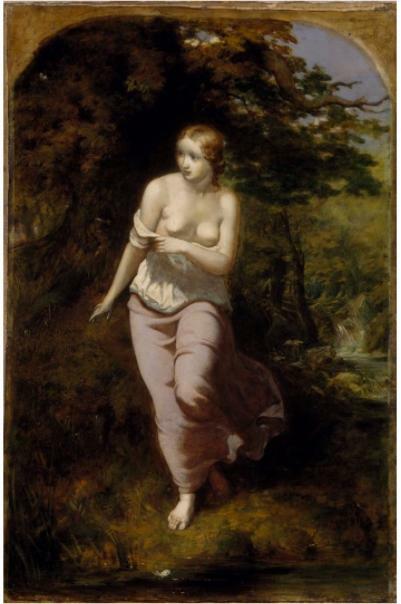 So, when I was reading “Miss Smallwood’s Student” and came across the line “Fine framed engravings, rendered at the end of the last century, depicted the four seasons, imagery inspired by the poetry of James Thomson” I knew that Thomas meant to convey something important connected to the story’s theme. If I didn’t do the research to find out who this poet was (the name sounded vaguely familiar, but at that point I didn’t know why), I’d be missing something crucial. In the old days, I would have gone to Dad the English teacher. Being he’s gone, I did the next best thing and what everyone does initially: I Googled. 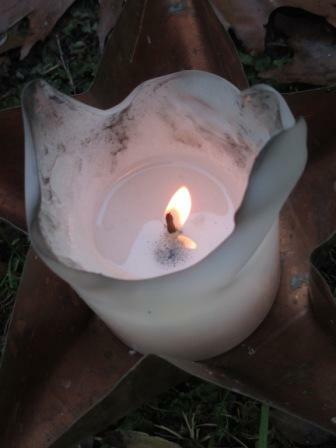 It was http://www.litgothic.com that gave me the information—and something else: a little bit of understanding. James Thomson was a Scottish poet who was a major influence on Romanticism. He was part of what’s called the Graveyard School, the poets of which focused on dark themes (like death and longing) brought forth using dark or melancholy imagery (I paraphrased this for you—please see http://www.litgothic.com/Authors/authors.html for a much more detailed definition). I managed to get a copy of Thomson’s famous four seasons poems, and I read them. I could easily grasp why Thomas had chosen to reference this poet, as it did add another layer of melancholy to the story. More importantly, though, I remembered why the name might be familiar. My Dad had a passion for the Romantic poets, and his den was full of books on the subject. He also had a passion for Scottish writers and work set in Scotland. It’s likely that Thomson would probably have been a favorite of his, and even more likely that he had probably mentioned the man to me at some point. As I read the poems, I tried to imagine my Dad reading them and what his reactions would have been. Based on some of the writing I know he enjoyed reading, I circled a few lines I thought might have had particular significance to him. I got the odd sense that I was looking through a window into his mind. I shared this information with Scott Thomas after the show (because during the show we talked about so much stuff that the question regarding Thomson slipped my mind). To my surprise, his reasons for citing Thomson were not what I expected (no spoilers here, you’ll have to read “Miss Smallwood’s Student”). While seeing both works brought the room in Thomas’ story to life, I walked away from this with much more. I have always believed that one can learn about another by studying his bookshelf. In recalling that James Thomson was, indeed, a poet my father enjoyed reading—and through, for the first time, reading, at the very least, Thomson’s famous four seasons poems themselves—I learned a little bit more about the enigma that was my Dad. Scott Thomas, “Miss Smallwood’s Student,” Urn & Willow (Colusa, CA: Dark Regions Press: Ghost House, 2012), 58. Scott Thomas, private Facebook message to author, November 25, 2012. Bad Apple Signing/Q&A at BOOKS & BOOS Grand Opening this Weekend! Recently discovering an organization like the American Association of Caregiving Youth and pledging to support it (see here) has opened up some interesting doors. 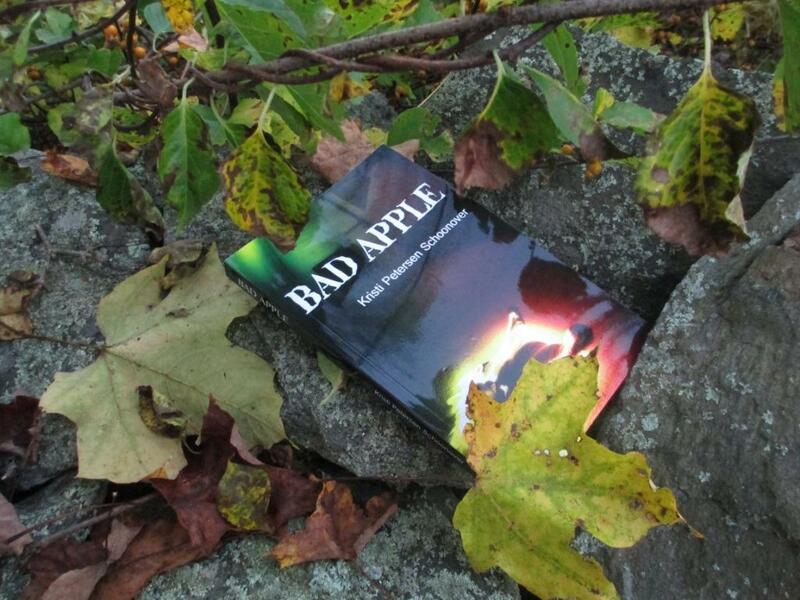 First, I learned about a website called Caregiving.com when someone on my Broad Universe list who is a member there posted about her reading the book Bad Apple (http://www.caregiving.com/2012/10my-next-leisure-read/). That website, which is a wonderful resource and online community for caregivers (those who care for loved ones), has a podcast called Your Caregiving Journey, onto which I was invited to talk about my experiences as a youth caregiver. Interestingly enough, discussing some of these issues on the air has not only allowed me to really think about how I have learned from my youth caregiving experiences (and how they have affected me as a person and as a writer), but has also allowed me to come to grips with the fact that there are so many youth and adults out there today putting their lives on hold for others. That there are, essentially, still people in the world out there now doing what I was then. And I think that’s one of the most difficult things to overcome about being a caregiver, whether you are doing it as a youth or as an adult: it can be isolating. Websites/Online Communities like Caregiving.com and podcasts like Your Caregiving Journey help to decrease that sense of isolation and create an environment in which caregivers can share their sorrows—and their joys. While I am hopeful that I will never be in that situation again as an adult, I am very grateful to know that in case I ever am, there are places to go for support. If you know someone who is a caregiver as a youth or adult, help guide them to some of these great resources. Or reach out. You might just change the course of a life. Below are some resource links, followed by the two episodes of Your Caregiving Journey on which I’ve appeared so far. I will be appearing on Your Caregiving Journey again on December 10 to talk about Identity and Choice. Caregiving.com is a community of family caregivers sharing their stories, support and solutions. FamilyCaregiving101.org: If you’re caring for another person who is ill or disabled, this site is a place to find assistance and answers.